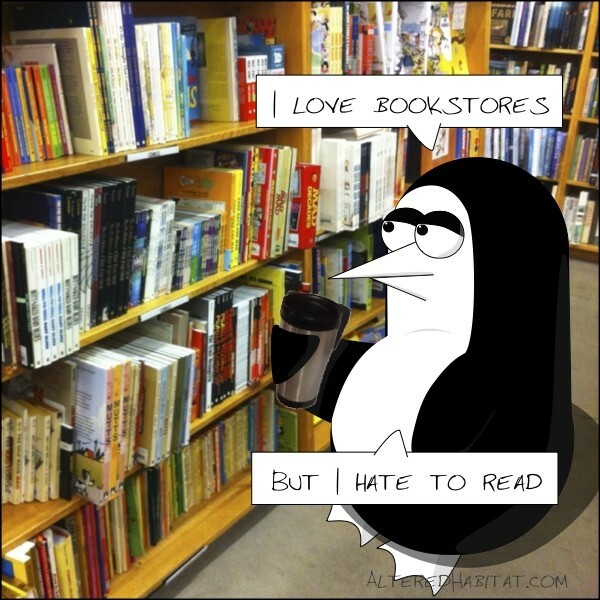 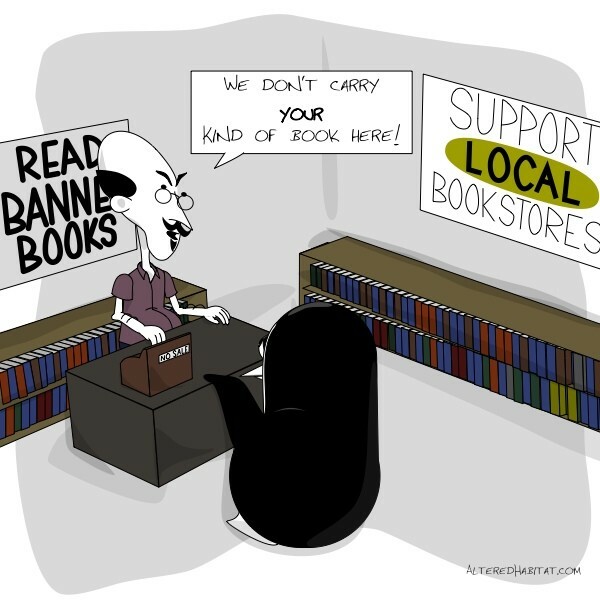 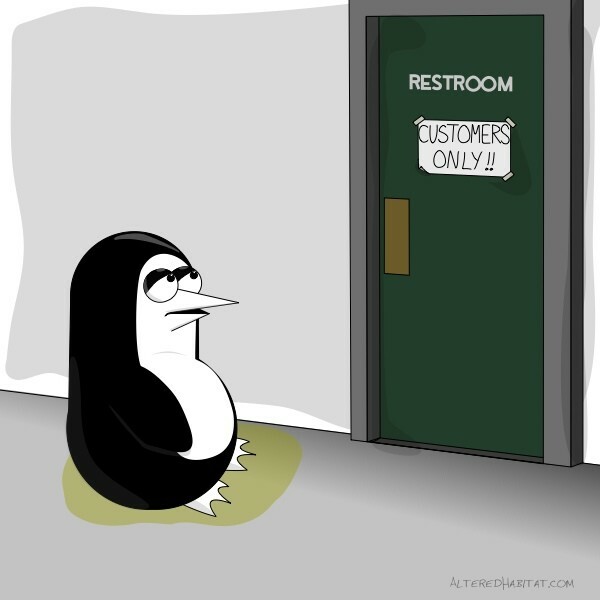 ↓ TranscriptIn front of a restroom door with a sign, "Customers Only" stands Penguin, in a puddle of his own. 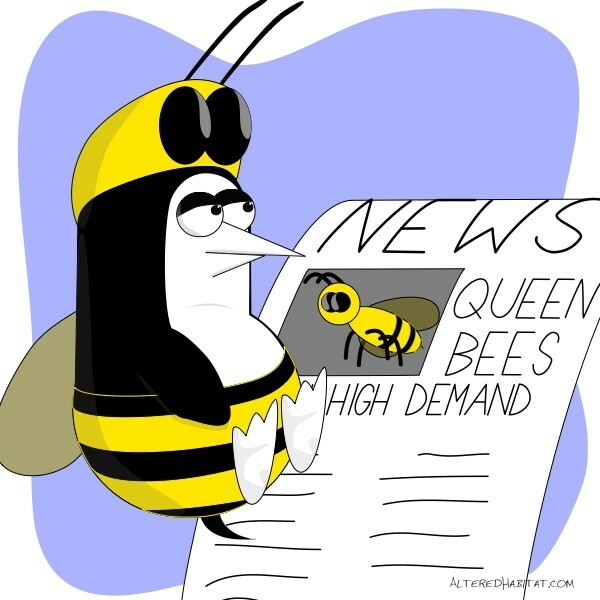 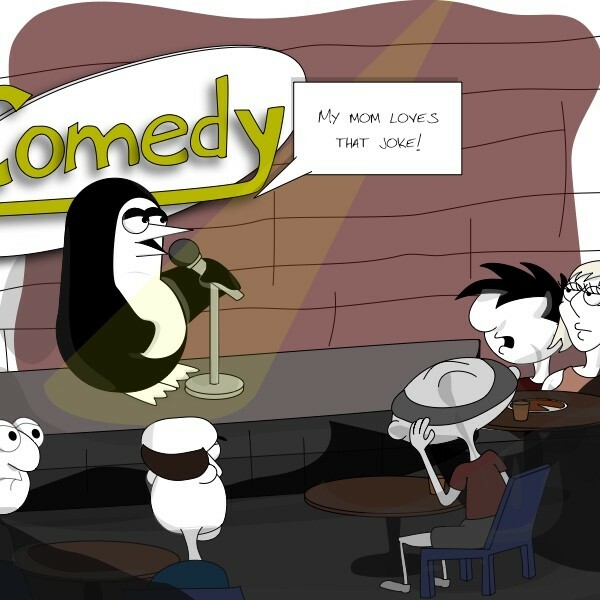 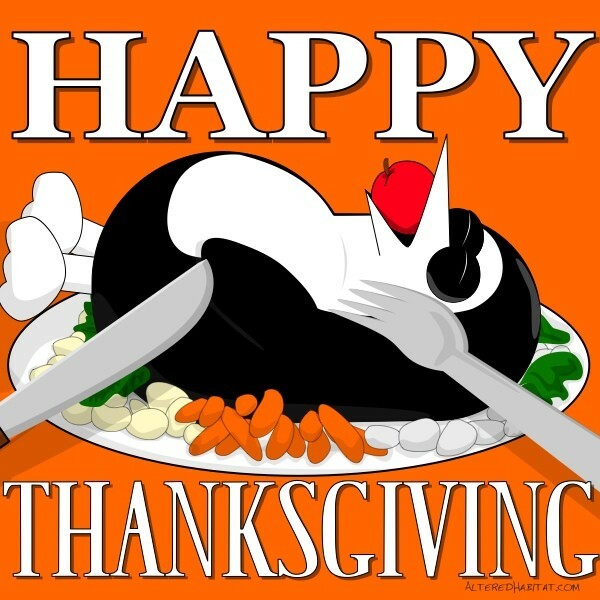 ↓ TranscriptPenguin performing in a comedy club, clearly bombing, says to the bored audience, "My mom loves that joke!" 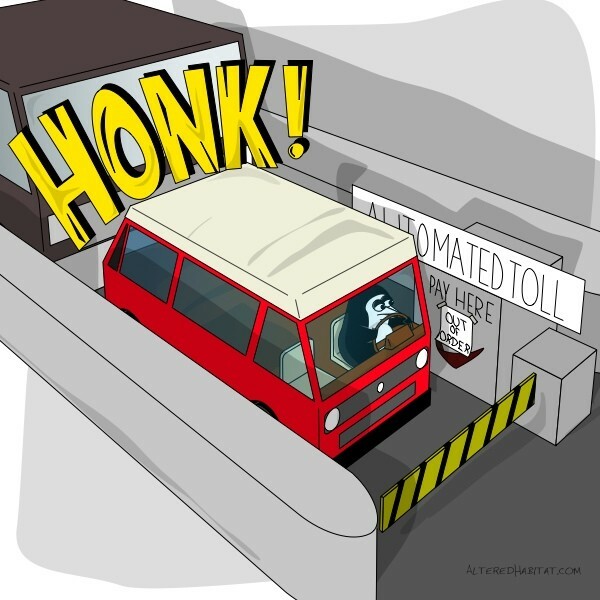 ↓ TranscriptStuck in my trusty VW camper van at an automated toll booth, poorly marked "out of order". 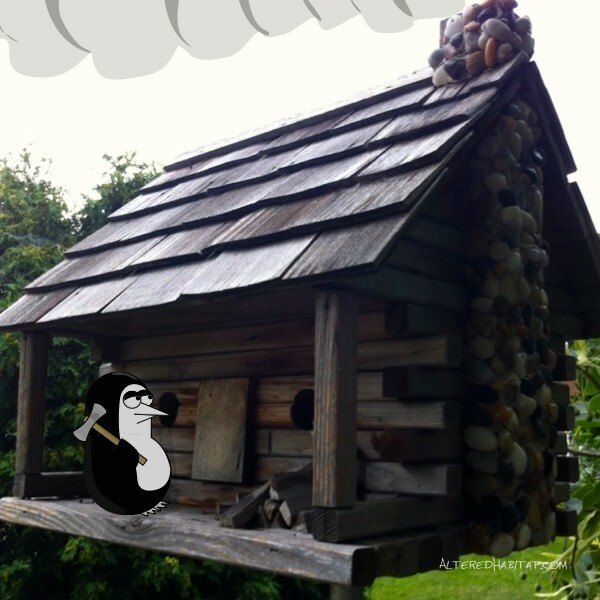 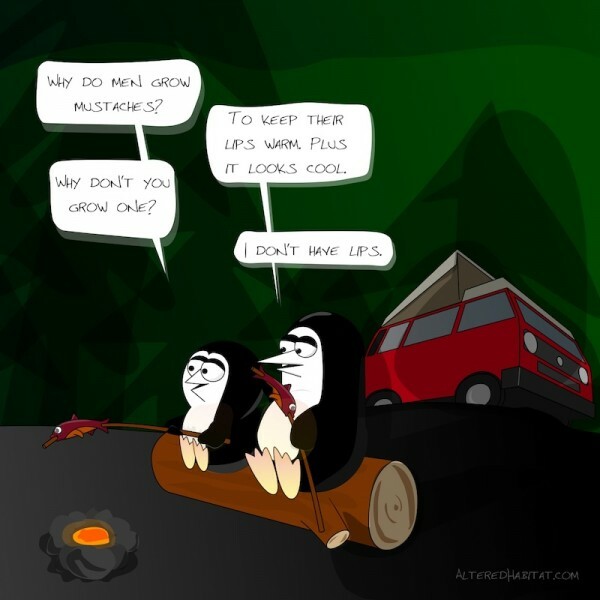 ↓ TranscriptPenguin standing with an ax on the porch of a cabin next to cut firewood. 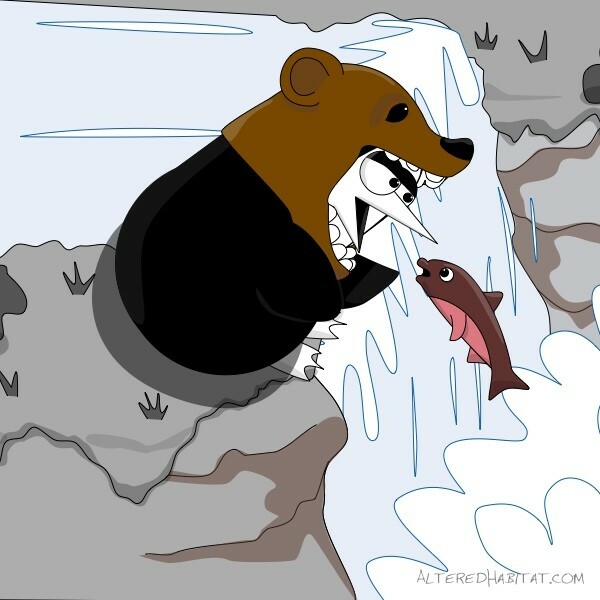 ↓ TranscriptPenguin stands in a river wearing a bear costume, catching a fish in his mouth.